Award winner Hollywood Actor and Producer Brad Pitt the name says it all. His success stories have been known to all. His instincts to leave college and try his hands on acting has laid the road to his success story. His active years in acting started since 1987 and had been successfully grabbed attention worldwide and become the eye candy to many. 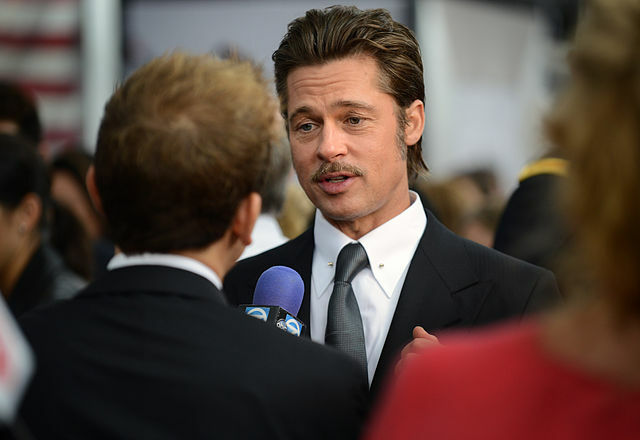 Brad Pitt has been actively supporting many social causes and been working on many environmental issues for many years. He has been one amongst the list of most influential people in the world. Brad Pitt has been an animal activist since a very long time. Brad Pitt had turned vegan long before many knew. His hate towards red meat is well known. His approach towards organic living has inspired many of his fans and co-stars. In fact, he has been known to be the Iconic poster hero for Veganism. His Veganism is so strictly followed that he has renounced from all animal product including dairy products. One must have noticed that Brad Pitt has been seen munching all varieties of food in most of the films. Many also claim that his eating scenes have made viewers grab extra food in the theatre. If an icon such as Brad Pitt can change to Vegan for all right reasons, then undoubtedly there would be many to follow him. Although it’s not precisely known when Brad Pitt turned to Vegan, but it’s been clear that his hate for meat and all animal product have been bold and bright. It’s well known now, how much Brad Pitt dislikes seeing his wife Angelina Jolie and children consuming animal based products. His wife Angelina did try to turn to vegan for a short while but could not continue. However, Brad is very comfortable being a vegan. Seeing his family consume animal products annoys him and can make him talk endlessly why his family has to change to Vegan. He firmly believes that it is one step forward towards the environment. His emotions towards turning greener and the damage caused by animal’s methane gases in food grows strong in him. This zealous Vegan supports the nutrients resources from plants is safer and avoids health hazards like cardiac arrest, obesity, diabetics and cancer. Brad Pitt turned vegan for all right reasons and has been vegan ever since. Brad Pitt believes that being vegan is the right path to a healthier life.